It is estimated that approximately 90 million households have access to Amazon Prime. In addition to free two day shipping, Amazon Prime gives you complete access to the Amazon Prime Video library for free! Amazon’s video library is continually expanding and has quickly grown into a major competitor to Netflix. Amazon Prime Video includes popular on-demand content like Monk and The Sopranos, as well as some high quality Amazon originals. Shows like Transparent and The Grand Tour have won numerous awards and are only available through Prime. However, even great shows like these suffer if you’re forced to watch them on the 4″ display of your phone. Luckily, there are a few ways to watch Amazon Prime on your TV so you and your family don’t have to crowed are your mobile device. Luckily, it’s actually quite easy to watch Amazon Prime on a Smart TV. Countless brands including LG, Panasonic, Samsung, Sony, and many others offer native apps to run the service. Due to Prime’s popularity, it’s possible that your TV came with the Amazon Prime app installed already. If not, follow these few steps. Navigate to the app section – Most smart TV’s come with a special button on the remote that brings you to the smart TV menu. It’s typically a different colored button in the center of the remote. Press the button and navigate to the “App Section” of the menu. Download the Prime Video app – When you’re in the app section, search for the Prime Video app. Download it and wait for the installation to complete. Sign into your Amazon account – When the download completes and you launch the app you’ll be prompted for your Amazon account information. Make sure that the account information you entered is associate with a Prime subscription or you won’t have access to the service. Start watching content – Once the Amazon Prime app has all of the account information you’re good to go. Simply choose a movie or show you want to watch and click Watch Now or Resume if you’ve already started it. If you’ve been reading up on cord cutting you’ve probably heard of Roku. Roku has been one of the biggest names in streaming devices continually puts out some of the best hardware on the market. A Roku is essentially a small computer that hooks up to the back of your TV and uses the TV as a monitor. It’s not the type of computer that will let you play video games on your TV (not yet at least! ), but it is perfectly designed to watch streaming content. 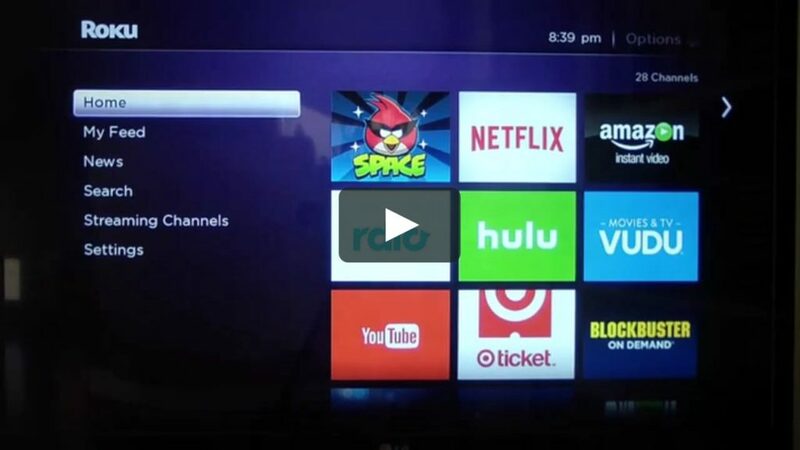 Roku devices come in a variety of different versions that fit different household needs. Their basic model is the Roku Express and costs $29.99. Each device supports 1080p streaming, but some have additional features like 4K support or a LAN port. 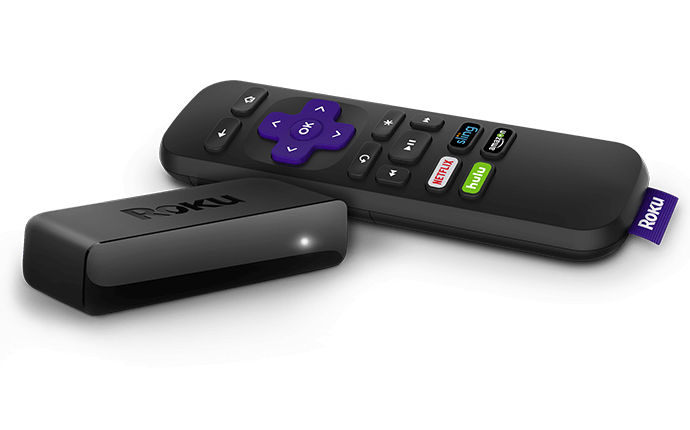 You can view the different models on Roku’s site or read our Roku guide to see a comparison table. When looking at the different models, keep in mind that you will need a separate Roku for each TV that you plan to watch Prime on. They don’t all have to be the same version which means you can have a 4K one for your main TV and Roku Expresses for the rest. It can be a decently sized initial purchase, but if you compare that to the cost of Comcast or Verizon’s monthly box rental, it’s actually fairly cheap. Typically, cable companies charge about $10 a month per box excluding the first one. That means that after only two and a half months you’ll be saving money by buying a Roku. Not to mention that the Roku supports a lot more content than the cable boxes and isn’t specific to one service. If you end up wanting to watch other streaming services that offer content not available on Prime, a Roku will support those too. 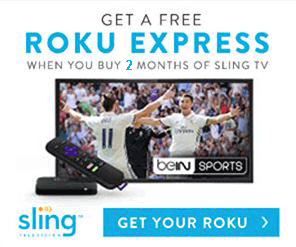 Roku supports Netflix, Hulu, Sling TV, PlayStation Vue, DirecTV Now, and countless others. We often recommend Rokus for cord cutters due to this large variety of services and their simplicity. In addition to supporting these services, the customer support and online help for them is everywhere. If you ever have an issue with Prime on your Roku, a quick Google search will show hundreds of thousands of results that can help. Google Chromecast is a little bit different than the rest of the streaming hardware discussed in this article. Unlike a Roku or Fire TV, the Chromecast mirrors it’s content from a computer or a mobile device rather than use local apps. What this means is that you have to launch Amazon Prime on your computer or phone and then “cast” (mirror) it to your TV. Once you click “cast” the Chromecast will start to play the video for itself and won’t consume your phone’s data or battery. 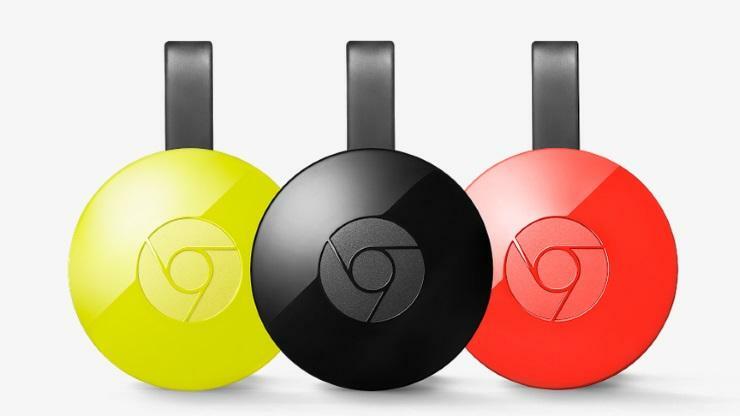 At $35, the Chromecast is one of the most flexible and flexible streaming options available. One of the biggest benefits of the Chromecast is that it can connect to any device on your network. Anyone who has the Chromecast password can stream onto the TV from their device. You also won’t have to dig through the couch cushions to find the remote since it’s all controlled by your phone (or PC). This flexibility also makes it really easy to move the Chromecast to a different TV. 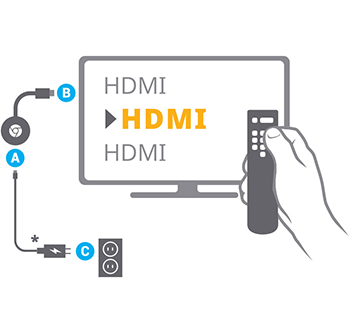 Simply disconnect the device from the TV, plug it into the new one, and connect to it the same way as before. The Chromecast is also incredibly simple to use. As you would expect, the integration between Google Chrome and the Chromecast is pretty much perfect. You can download the browser extension and click a single button to start casting the content in your Chrome tab directly to your TV. This also makes it much easier than other devices to cast certain content. While most devices have apps for big name services like Prime or Netflix, the native browser on them is usually lacking. The Chromecast’s “casting” ability means you get a full powered web browser to navigate and watch content from websites that might not have apps. If you’re a fan of Apple products, the Apple TV 4K won’t disappoint. It’s sleak, powerful, and as user friendly as you’d expect from an Apple product. 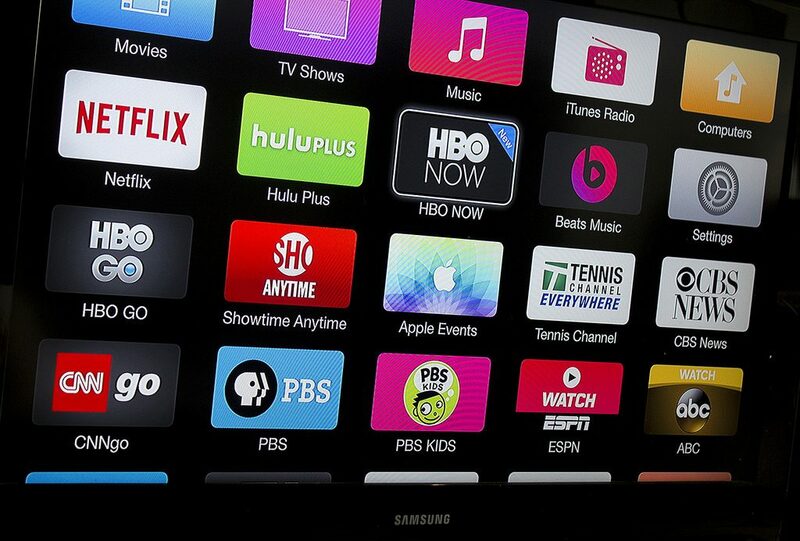 The Apple TV falls into the set top box category of streaming devices, similar to a Roku. It’s a standalone device that connects to the back of your TV and can stream content organized on it’s well designed interface. Although you can connect an iOS mobile device or tablet and mirror the content to your Apple TV, it’s not reliant on one to run like a Chromecast. Apple TV is a powerhouse of a streaming device that’s perfect for iTunes users. 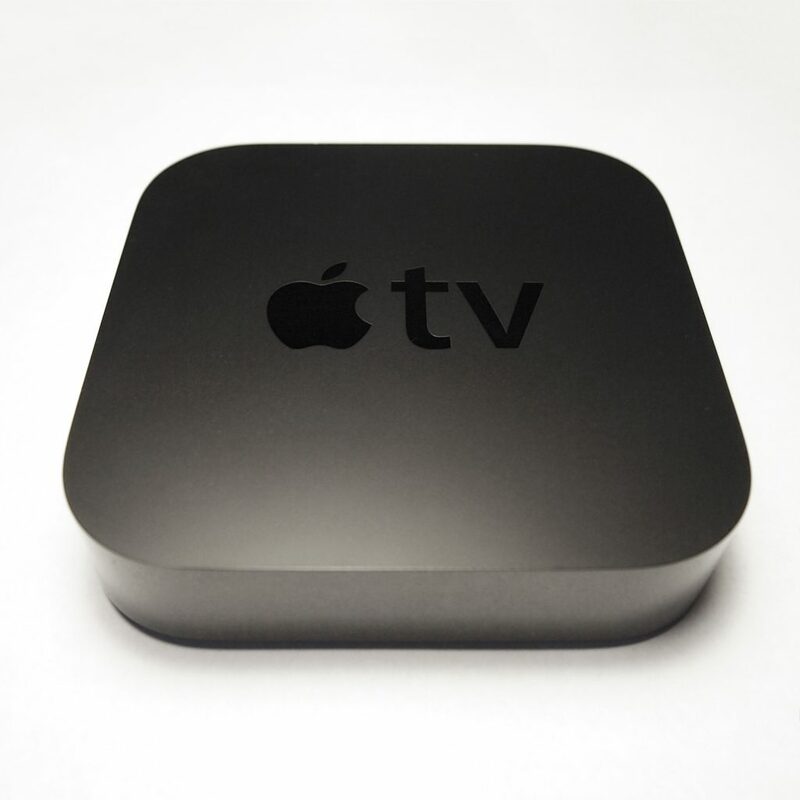 The Apple TV is one of the more powerful streaming devices on the market. However, that extra power does come at a cost. The Apple TV 32g is $149 from the app store for the non 4K version and $179 if you want 4K. Compared to the $29.99 Roku Express, it’s not as easy to suggest to everyone. The Roku Ultra is much cheaper, supports 4K, and is comparable for most situations. The Apple TV is for users who use other Apple products and want to tie them into their TV; particularly iTunes and iOS devices. You also get pretty flawless Siri integration. Even if you’re not a huge Siri fan, being able to have Siri search for a TV show or a channel you want to watch is a lot easier than trying to type it with the remote and the on-screen keyboard. As with most Apple products, access to iTunes and the app store is a godsend for some users. If you use iTunes a lot and have a library of content built up, the ability to stream that to your TV is huge. You can continue to purchase new content through the app store on the Apple TV. The Amazon Prime App is available in the App store and makes setting up Prime on your Apple TV a breeze. At $149, it’s hard for us to recommend an Apple TV as your only streaming hardware. If you’re an Apple fan and have a huge iTunes library it may make sense to get an Apple TV for your main TV, but still get some cheaper Roku devices for the others.